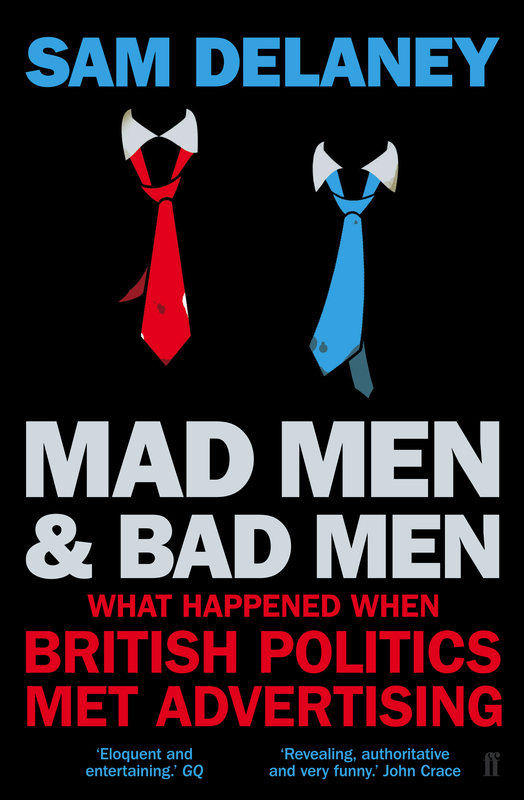 Can you imagine how excited I would have been when I heard that a book on the strange relationship between British politics and advertising was to be published? To put it lightly, I was fairly cheery about the whole thing. I managed to persuade the author Sam Delaney to have a beer with me whilst he was writing it and what became clear was that he had managed to secure interviews with every major player in the recent history of British political advertising; from Jeremy Sinclair and Lord Bell to Chris Powell and Trevor Beattie. My sense of anticipation about the book’s launch was duly increased even further. So when I finally got my hands on a copy of the book, it’s safe to say my expectations were fairly high and I’m delighted to confirm that they were duly met and surpassed. The book strikes the perfect balance between a fun, gossipy, behind-the-scenes account of the last 8 General Election campaigns and deep thinking on how elections are won and the role of political advertising in it. There’s revealing anecdotes, bitchy asides and insightful commentary on how to market political parties and win elections. It’s definitely the most interesting and easy to read account on the subject of political advertising that I’ve ever read. If you need further convincing, you can read much more erudite reviews of the book in places like the New Statesmen, Telegraph and Financial Times, but I can promise you that if you’ve ever remotely enjoyed this blog, you will find Sam’s book an intensely enjoyable and interesting read.